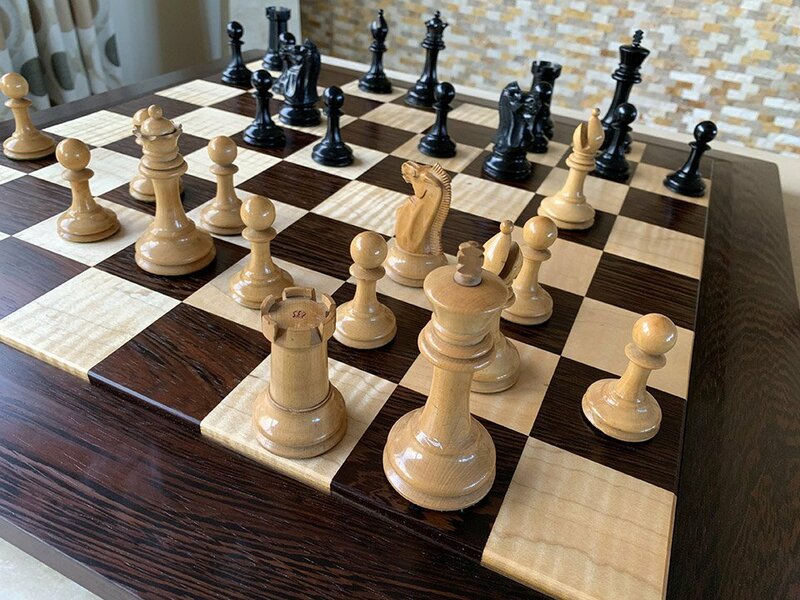 Premium Curly Maple and East Indian Rosewood Chessboard. 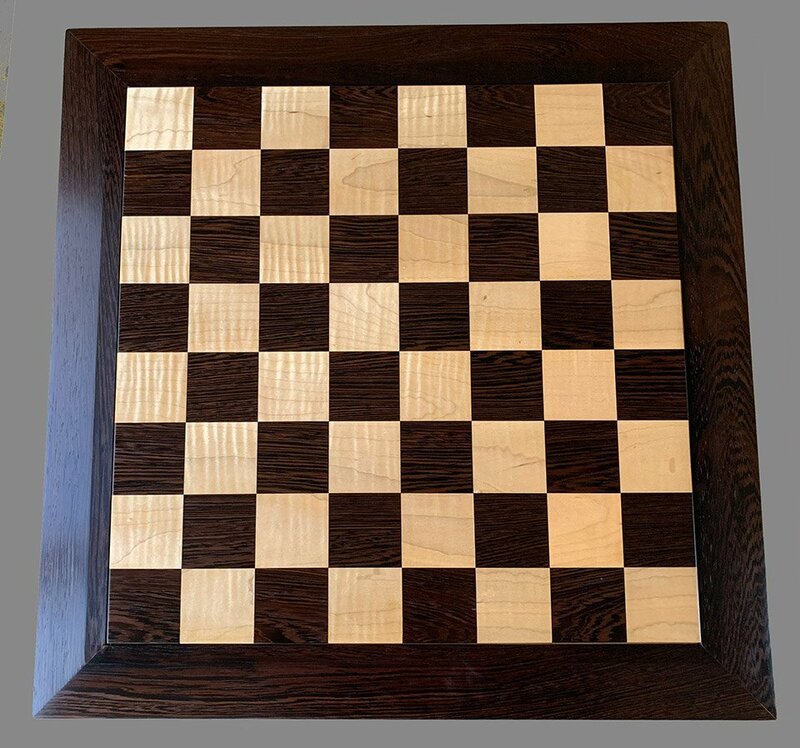 A Curly Maple and East Indian Rosewood Chessboard featuring a unique raised playing field design with 2-1/2″ squares. 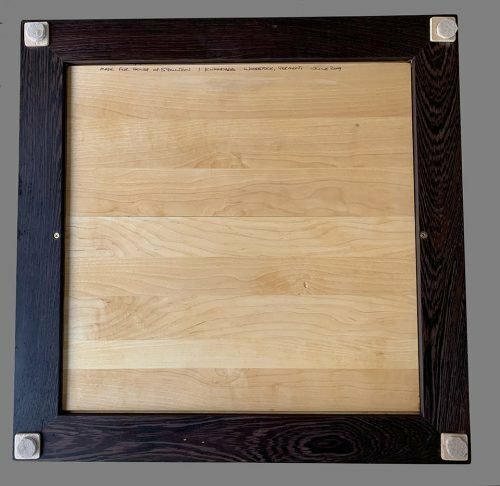 The frame is solid East Indian Rosewood. 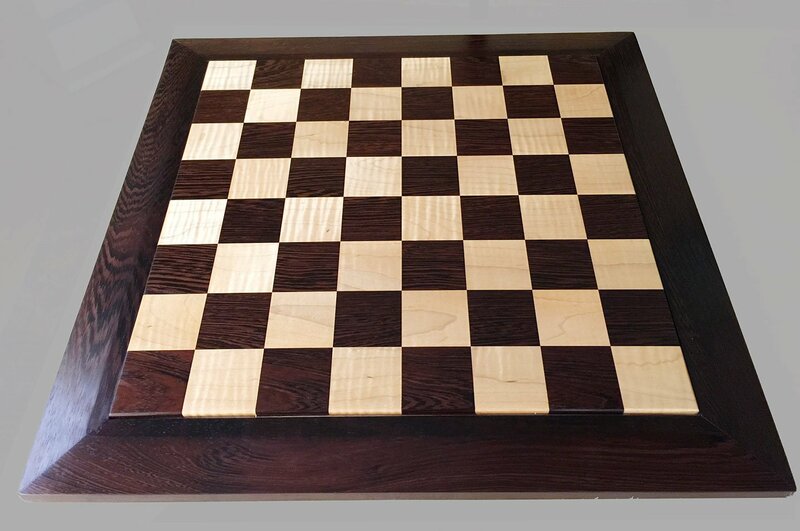 The chessboard measures 25″ square. 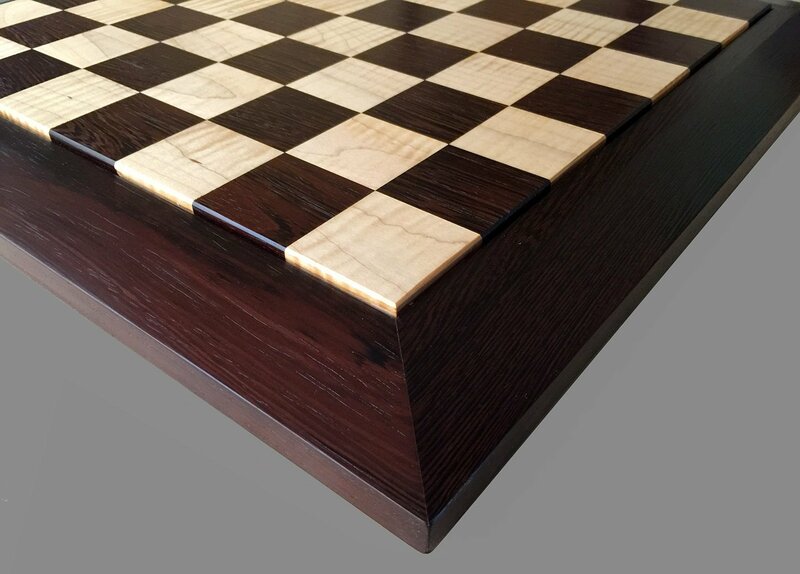 The design utilizes a “floating” playing field to prevent loading of the miters as the woods expand and contract with ambient temperature and moisture. 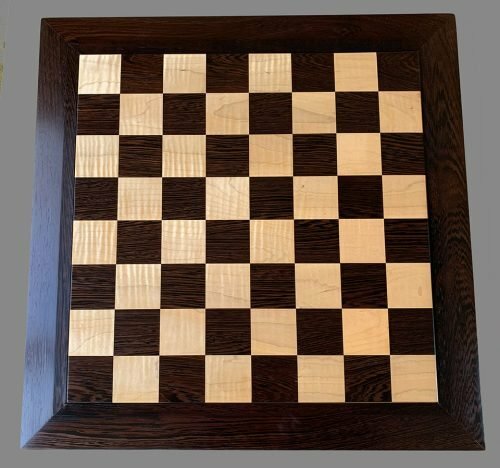 This exquisite Chessboard with its unique raised playing field was crafted by Ken Woodhead for The House of Staunton in 2009. The chessboard is new and flawless. 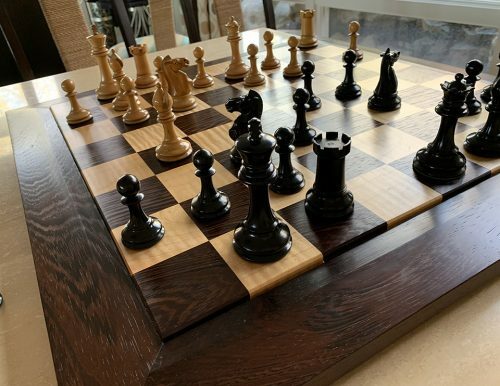 East Indian Rosewood (Dalbergia Latifolia) was chosen for its more subtle grain pattern and rich color. Curly Maple is not actually a species, but simply a description of a figure in the grain. It is named because the ripples in the grain pattern create a three-dimensional effect that appears as if the grain has “curled” along the length of the board. Other names for this phenomenon are: tiger maple, fiddleback maple, (in reference to curly maple’s historic use for the backs and sides of violins), or flamed maple. 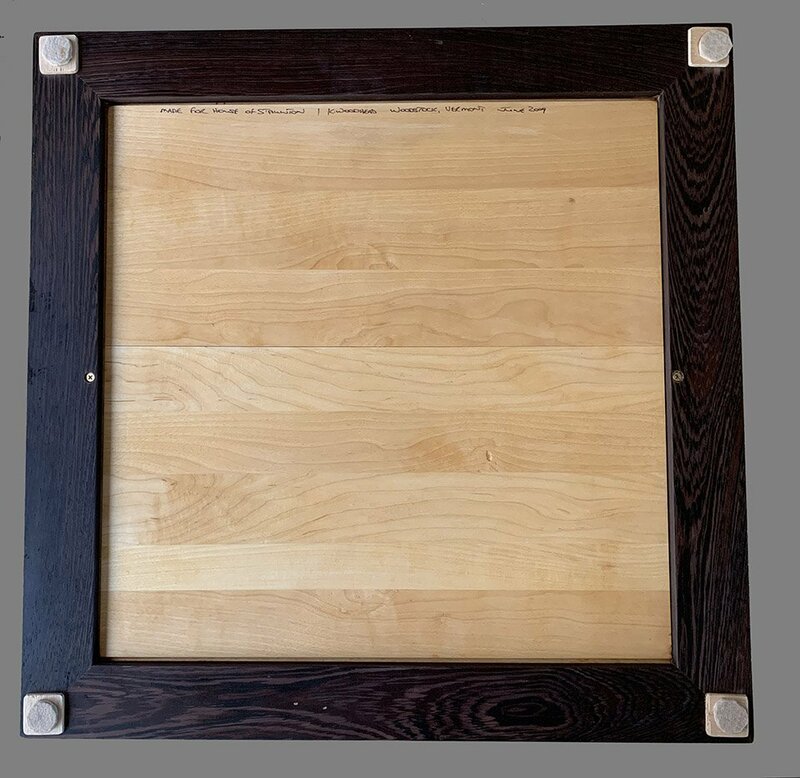 It makes an ideal companion to show off the color and intensity of the East Indian Rosewood.